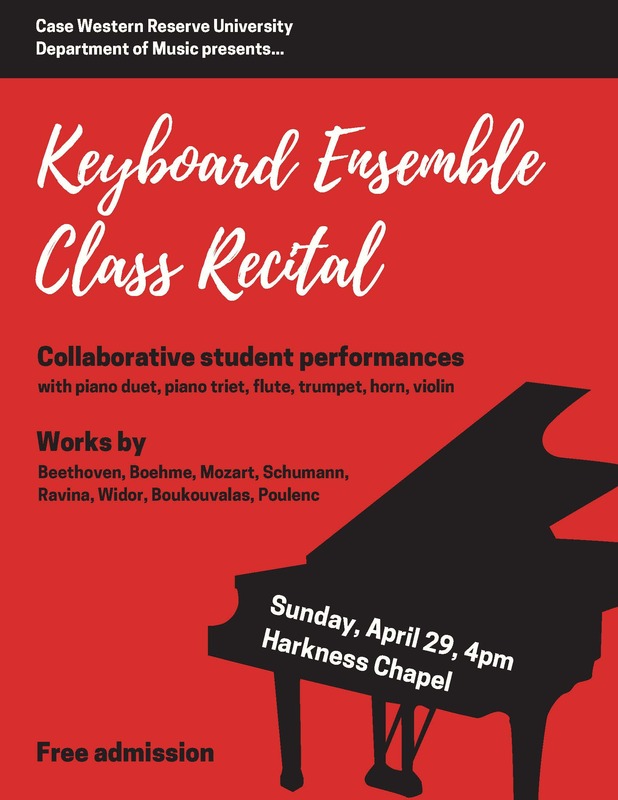 A recital featuring CWRU student pianists collaborative performances with piano duet, piano triet, flute, trumpet, horn, violin. Works by Beethoven, Boehme, Mozart, Schumann, Ravina, Widor, Boukouvalas, Poulenc. Free and open to the public. Paid parking available in the Ford Avenue parking garage or at the meters along Bellflower Road and East Blvd.